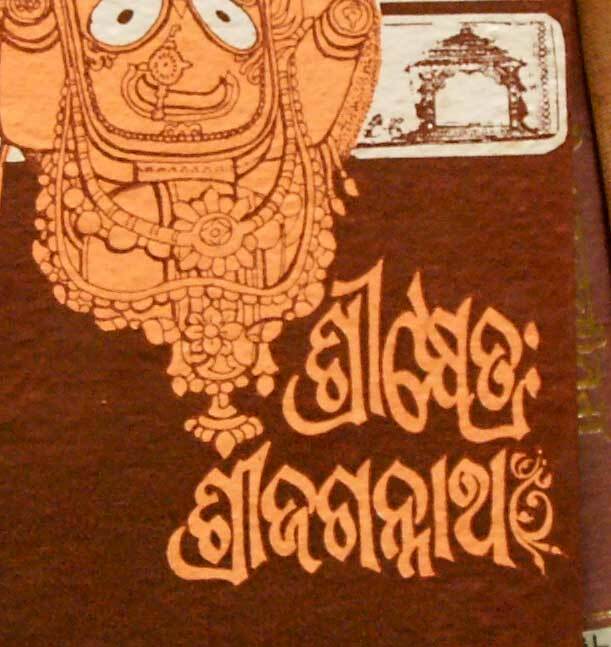 I love this style of flat-nibbed-pen calligraphy in the Odiya script. The pinched, pointed forms are an interesting contrast to the extremely geometric, monolinear Odiya fonts that are commonly used for text. Also great to see the image of Jagannath, one of the most visually interesting deities, in my humble opinion! Book cover is from romana klee’s incredible book cover flickr album.